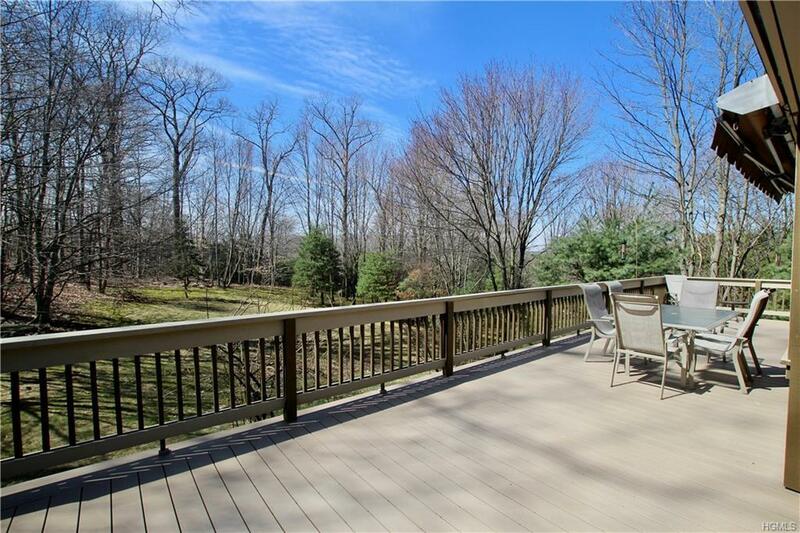 A wonderful nature area is adjacent to the large & private yard that is behind the expanded deck of this lovely home. Specimen plantings, gardens & sunset views enhance the beauty of the location. Many special features are part of this 3 bedroom 2 bath 1 level condo such as custom designed wall units & closets & garage storage areas. Upgrades & extras abound including a bedroom/library with French doors from the dining room, a totally upgraded eat-in-kitchen with a desk & wine unit, an expanded deck with 2 awnings plus so much more. You can enjoy all the amenities of the beautiful Heritage Hills community including 7 tennis courts, 5 pools, 2 golf courses (private membership), various clubs, classes, art & woodworking studios plus a library & large auditorium. There is a separate building for the new fitness center, security office & gym which is next to the main pool & bocce & tennis court areas. Special home... special place to live.